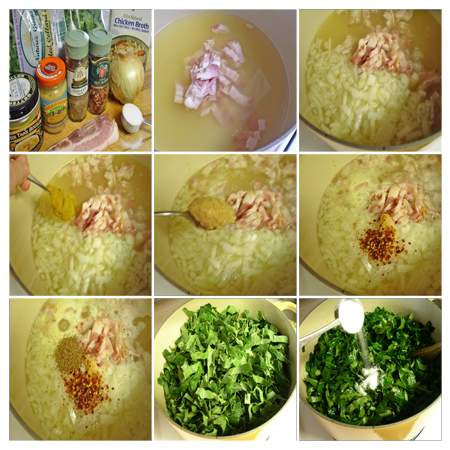 Home » Posts Tagged "collards"
Collards, also called collard greens or borekale (Brassica oleracea Acephala Group), are various loose-leafed cultivars of the cabbage plant. The plant is grown for its large, dark-colored, edible leaves and as a garden ornamental, mainly in Brazil, Portugal, the Southern United States, many parts of Africa, Montenegro, Spain and in Kashmir as well. They are classified in the same cultivar group as kale and spring greens, to which they are extremely similar genetically. The plant is also called couve in Brazil, couve-galega in Portugal, (col) berza in Spanish-speaking countries and Raštan in Montenegro. The name collard is said to derive from Anglo-Saxon coleworts or colewyrts (“cabbage plants”). It is also said that collard is a pidginized version of colored. Only firm, dark green leaves are fit for consumption; any wilted or yellowish leaves must be discarded. Collards have higher nutritional value when cooked than when raw due to the tough cell structure; they can be blended into a juice, usually in combination with sweet fruit juices to improve the flavor. 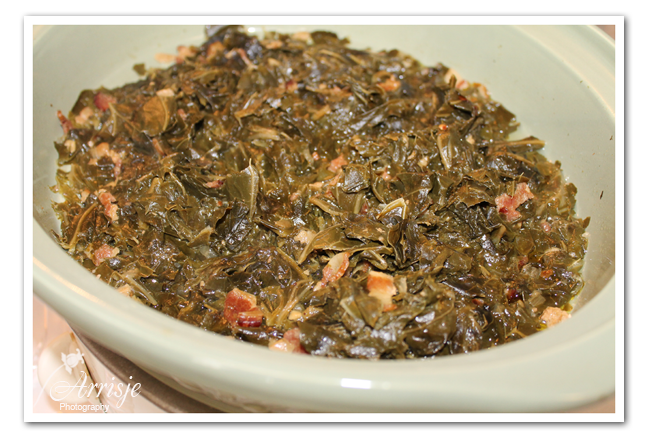 Collards are usually consumed cooked, as meal fillers and as a source of dietary fiber, especially as a balance to fish and meat dishes. You can tell when the collards are done by the color of the vegetables (see pic) this took about 1 hour. Some take hours just taste them as long they are not tough. 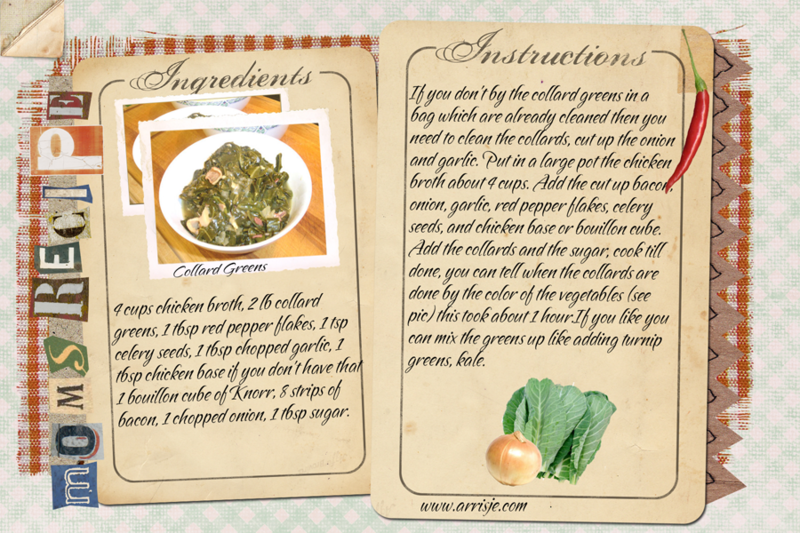 If you like you can mix the greens up like adding turnip greens and or kale.